Two years after Google initially increased the length of descriptions in the search results, and six months after increasing it for most results, Google is reverting back to the old shorter length. For some SEOs, this means a lot of work is required to change over description meta tags from the longer version to the shorter one. But for those that never changed when Google made the change two years ago, it won’t be as big of a deal. 4 Lesser Impact on Informational Queries? 7 What if Description Meta Tags are Too Long? The search results first started showing much more results with the shorter ~160 characters in the middle of last week, and RankRanger shows that number declining over the next few days, to the current ~163 characters. Previously, it was holding steady around 230 characters on average. UPDATE: Shortly after I published, RankRanger updated for Monday, so we have three days holding steady at ~163 characters. For mobile, the description length has dropped even more, to about ~132 characters. UPDATE: Here is the mobile length update, again holding steady for the third day. It is worth noting that the title length has remained the same for both desktop and mobile. The last time Google made major adjustments to the title and description lengths in May 2016, almost exactly 2 years ago, they were both adjusted, then six months ago to bring it to most sites, while this time it is only descriptions that is reverting back to the old length. That change two years ago also coincided with a change to the width of the search results too. This time, the width is unchanged. What is especially interesting with this new character length is that on desktop it does not take advantage of the entire second line. Instead, it truncates the second line with ellipses (…) shortly after the halfway mark of the second line. When the description used to be 160 characters total, the search results were also narrower (500 pixels versus 600 pixels) – so this change still reflects the older width of the search results. So it is possible we could see this length increased slightly, to bring it in line with the newer search results width. If Google makes a change to match the newer width, to have two full lines of description text, it would be about 210 characters on desktop. Those with descriptions that are under the limit will show their full description without it being truncated. 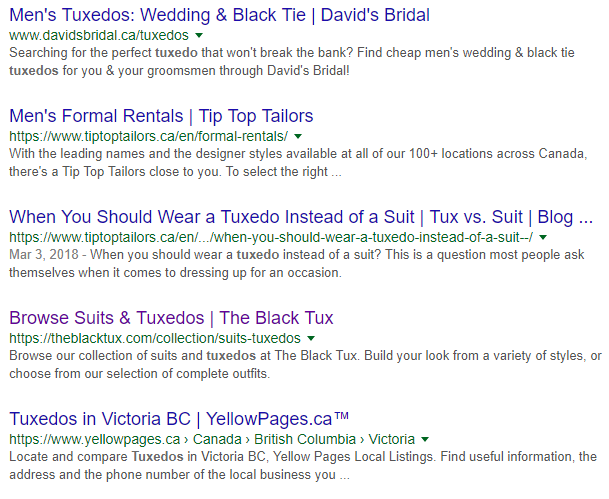 The results being truncated were ones that were either missing the description meta tag (such as Tip Top Tailors) or had descriptions in excess of 170 characters (such as Yellow Pages). Mobile doesn’t seem to have the same truncation issues, they have three lines of description on average. But the width didn’t change with the change to years ago. Commercial type queries definitely are skewing towards the shorter ~160 character length. For example, searching for “SEO company” shows all shorter descriptions, while searching for “SEO” brings up the top two results with the longer descriptions. There are some commercial queries that still have longer descriptions. For example, for this query, NewEgg has a shorter description while BestBuy has a longer one, although this definitely seems to be one of the exceptions. However, just a couple hours later, this Best Buy result had also been reduced to only two lines. And instead of pulling the description from the actual page, it swapped to the 135 character long meta description for the page. So it could simply be that Google is still rolling it out completely. Lesser Impact on Informational Queries? But many informational queries still remain with ~280 characters. However, where we often saw many or most of the results with ~280 characters, now we are seeing that limited to only one or two results with ~280 characters. But perhaps most unusual with this change is that for search results that do feature one result with ~280 characters, it isn’t guaranteed that the longer description will always be the top or second result. For example this query sees the first result with ~280 characters, with everything else at ~160 characters except for the 6th result. But again, this could be a rolling out issue. Recipes are also impacted. 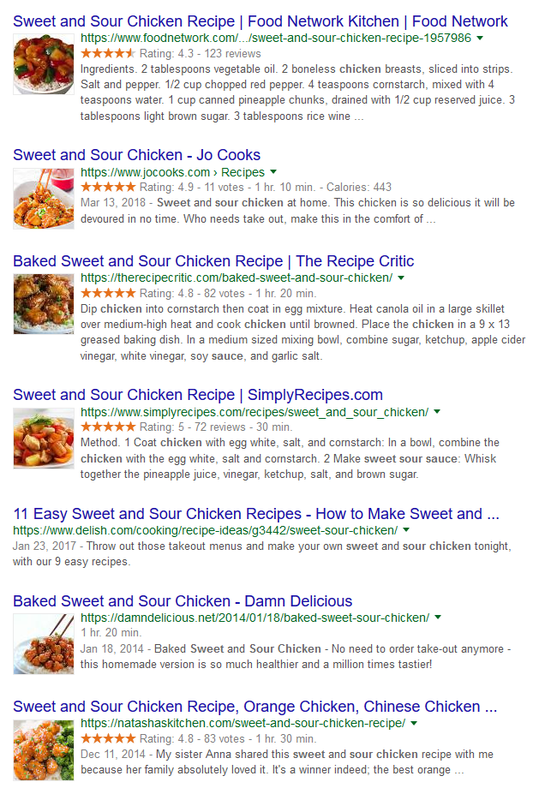 While it wasn’t unusual to see up to five lines of description with a recipe schema search result, now there are only a maximum of 4 lines, and those are limited to only one or two results per page. Most results now are limited to two lines of description, with occasional 3 lines. 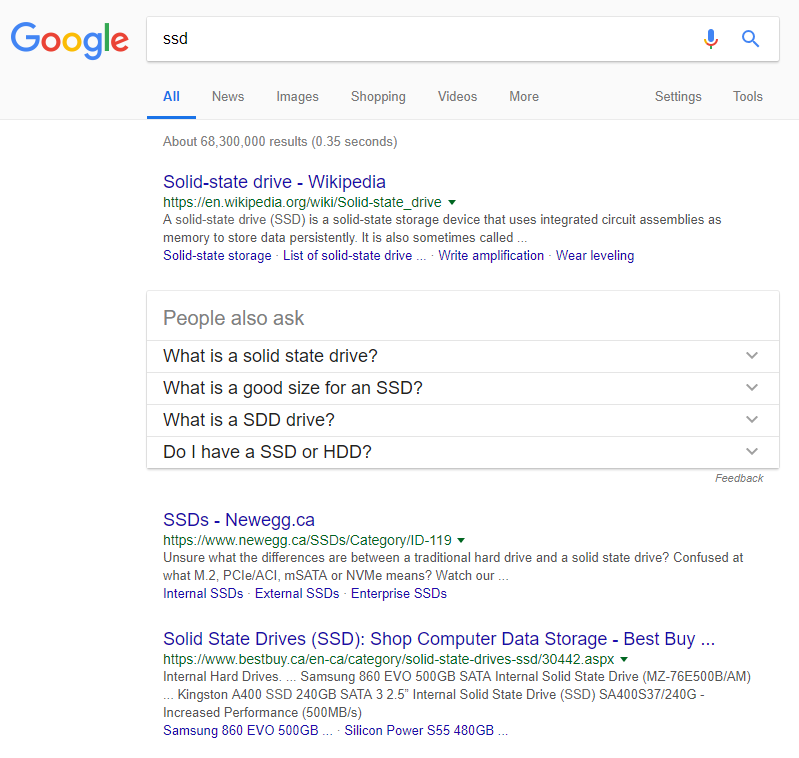 This search result used to feature multiple results with the longer descriptions, now the longest is only 4 lines, and 7 of the results have only 2 lines. While many are referring to this change as being the use of meta description tags as being changed, this is inaccurate. While Google may use the content a page specifies in their meta description tag in the search results, Google often pulls relevant text from the actual page. Not only that, Google can change that description they show in the results to better match the specific query – so the same page can have many different descriptions displayed in the search results based on the queries searched for. What if Description Meta Tags are Too Long? If your tags are too long, Google will truncate them or pull from the content on the page to use as the description. Google will still show a description, it just might not be your chosen one. And remember, even if the description tag is shorter, there is still no guarantee Google will use it. It is worth noting that Google does not give a description length recommendation in any of their help documents. And when they were lengthened two years ago, Google never recommended changing to the longer descriptions. Instead, John Mueller from Google said things are always changing. Google does have a meta description section in their HTML improvements in Search Console, but it only seemed to alert for excessively short descriptions, not longer ones. John Mueller confirmed today that Google is still not recommending any specific length for descriptions. These things can always change over time (and by device, query, etc), we're not announcing any fixed count as a target. Yeah, I get that. The search results UI is pretty constantly changing though, so IMO it's normal to see these things evolve over time, maybe even reverting or perhaps becoming more variable where it might make sense. Danny Sullivan also commented that Google never recommended changing either. It is possible that Google is still rolling back all results to ~160 characters, so we could see the few longer descriptions drop from the results in the coming days. Now, for the bigger question, why is Google reverting to the shorter descriptions, two years after making them longer? 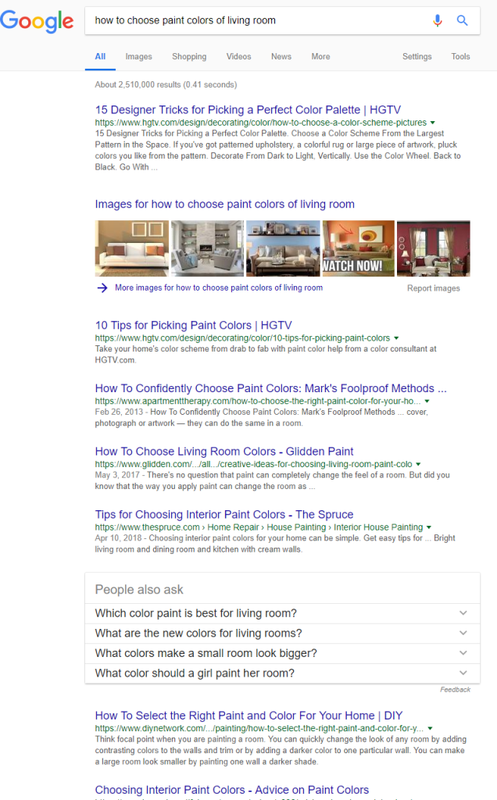 When Google adjusted the width of the search results, it was natural that Google wanted to optimize the space better. But there are a couple other reasons that are likely more significant to why they made this change. When you do a voice search via a Google assistant, where the result is read back to you, a longer description takes longer to read out. And longer descriptions also have a higher likelihood of having grammatical and language errors. So the shorter descriptions will help from that point of view to give searchers quicker results where they can be read out. While some SEOs had swapped over to the longer description lengths, many continued using the shorter description lengths in their meta tags. And a fair number still had no description tags whatsoever. And as I noted earlier, when Google made the original change two years ago, they never recommended site owners swap to longer descriptions. Shorter descriptions on mobile results mean that there is a higher likelihood that those pages showing lower in the search results will get viewed as someone scrolls down. With some screen and font sizes, it isn’t unusual for someone to only see a single result on the page. This change will reduce the real estate per result and draw some clicks to later results that might not have otherwise been seen with each result showing an additional 2+ lines in the results. This change isn’t entirely surprising, although I wouldn’t be surprised to see Google increase that description length slightly to match two full lines on desktop, since it is weirdly truncated currently at the 160 characters from the old search results width. 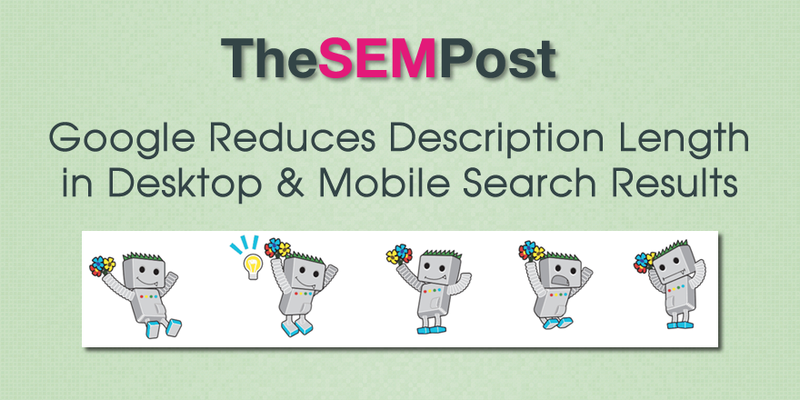 Many SEOs are pretty unhappy about the change, especially with the work needed to change the descriptions, especially on larger sites, and especially for those that hand craft descriptions for their most important pages. In Google’s defense, they never did recommend a length change, but it was a pretty big opportunity for site owners to take advantage of that extra space in the search results, especially since the change two years ago also came with the title tag increase too. Would I go and change the tags immediately? I would be inclined to take a short wait and see approach, at least until some of the search trackers show more stability that the lengths have settled down. Or change only the most important pages in the search results. But regardless, this is a pretty significant change that SEOs should probably react to, if they have the longer descriptions. Update: And some more comments from Google. They continue to say that there is no length because that length varies based on the search algo and what is deemed useful. The search results UI is a very dynamic place, seeing changes there is not unexpected. Like on your own sites, it's also important to us to keep testing, improving, trying out new things to see what works best for users on our pages. The length of snippets is dynamic. We're not stating a maximum length because of this. Very informative, Jennifer. Partly “no surprise”, partly “surprising”. I’m glad I advised my clients to expand their descriptions where necessary to better set the hook, but leave the most important in the old original lengths, just in case Google ever reversed the change. “No surprise” that they’ve more or less done that, even if not consistently. The surprise is the varying lengths you’ve reported. Granted, as you say, that may be because roll-out isn’t complete yet. But since they seem to be using content excerpts a lot more now, even in the presence of a meta description, when taken with the varying lengths displayed, it makes me wonder about the algo’s criteria. I suspect we’ll be learning some interesting stuff in the weeks to come.